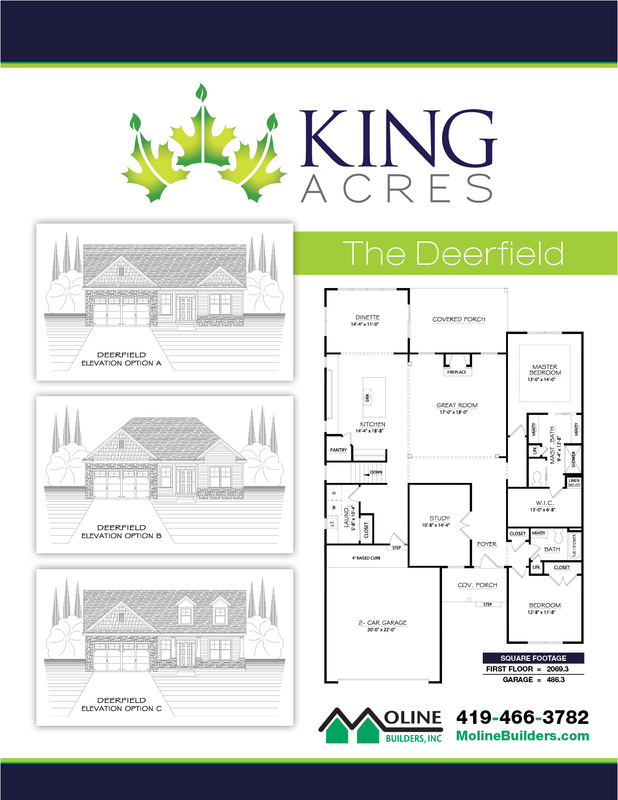 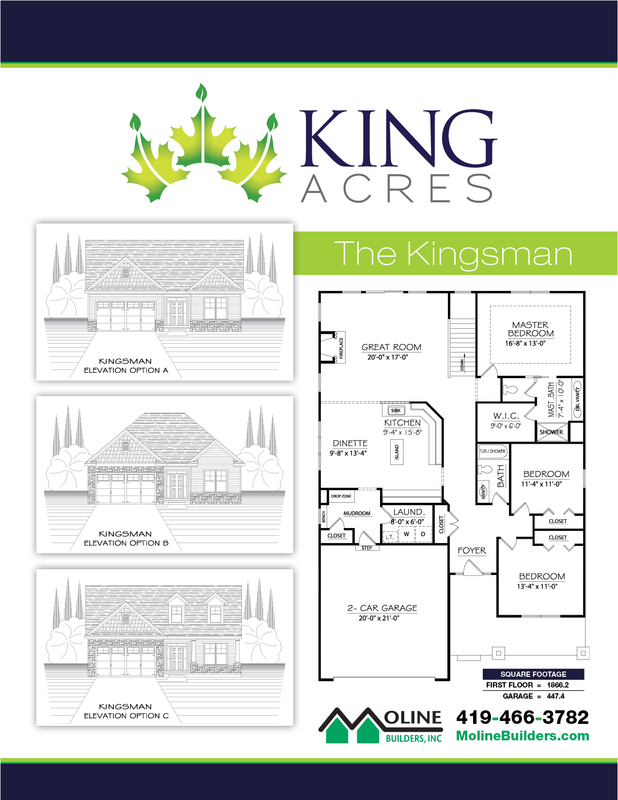 King Acres offers 4 great floor plans ranging from 1,569 to 2069 square feet, each having three attractive exteriors to choose from. 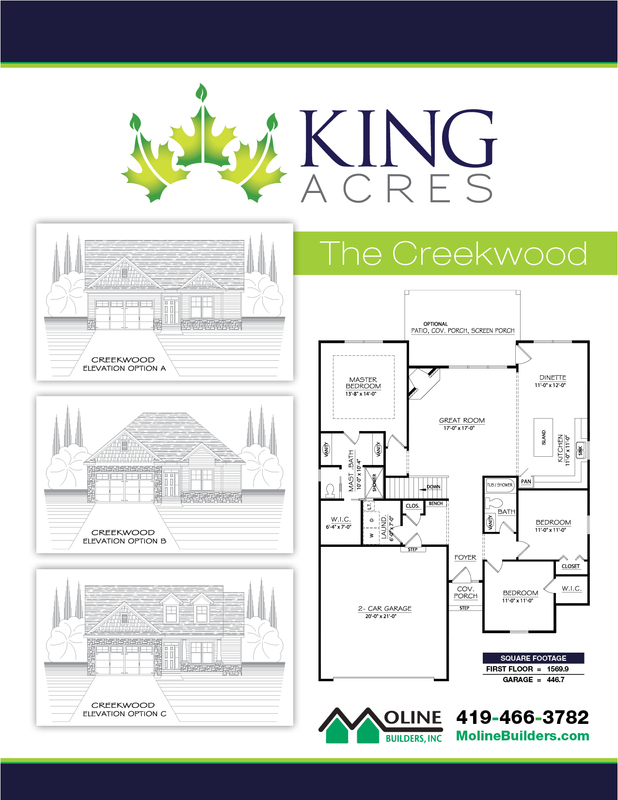 We're confident you'll find a plan that meets your needs. 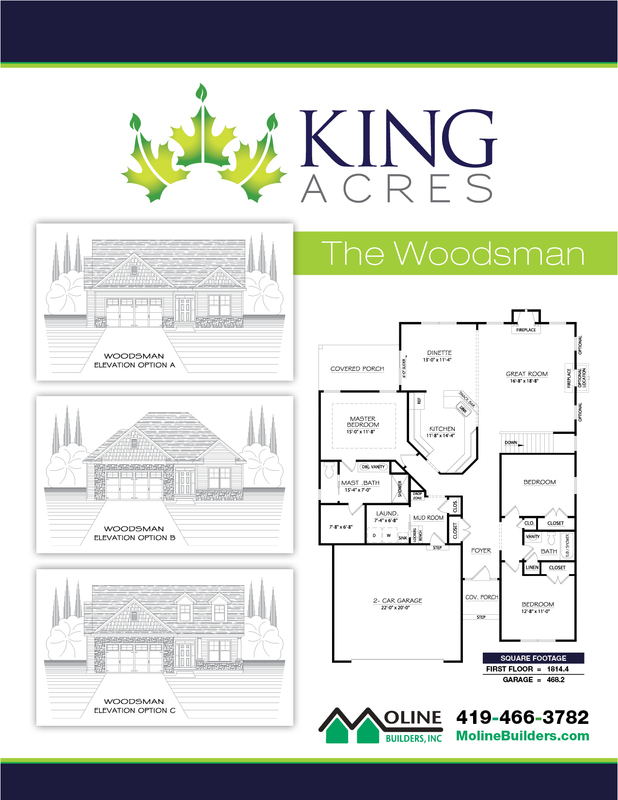 Note: The square footage shown does not include: the basement, garage or porch areas.